There were slouchy camouflage pants, oversize barn jackets, and raw denim jackets that had a certain cool polish that was amplified by the metallic spiral-heeled shoes, an off-kilter twist on the classic disco sandal. Humberto Leon and Carol Lim kept the shoe designs simple. Metallic rope crossed uppers were paired with unconventional metallic heels look like coiled spring, spiraled up in a cone shape, like the freshly curled hairstyle back in 70’s. 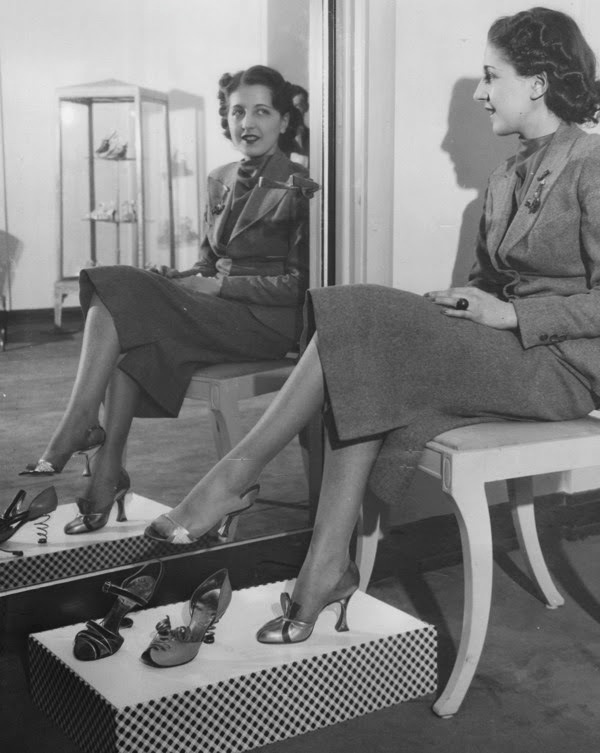 The heel shaped "like a freshly curled hairstyle back in 70's" was designed by André Perugia in 1936. The press photograph was a touch of genius much like Perugia's creations: the unknown photographer (ACME Agency) left the heel hidden in plain view. 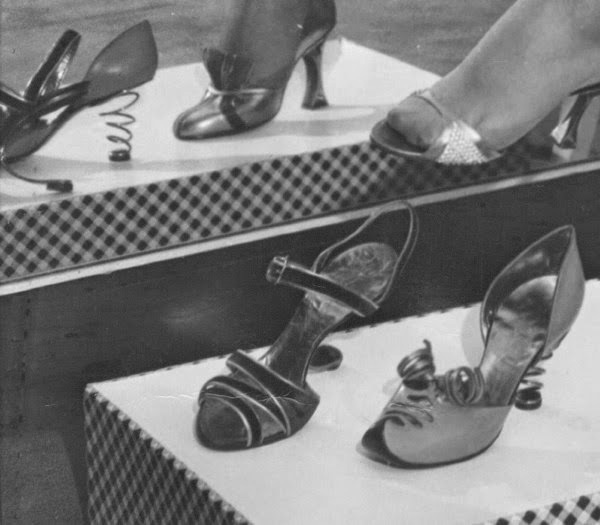 In 1953 Perugia resurrected the corkscrew heel as part of a metal-shanked collection showcased at Saks Fifth Avenue. Now, wait a second, 1936 - 2016 makes 80 years: hey Kenzo, you are celebrating the anniversary, aren't you? Apparently no one noticed, which says a lot about the current state of fashion journalism; no one but a nice little Pinterest board run by shoe designer Guillem Turró Casanovas.